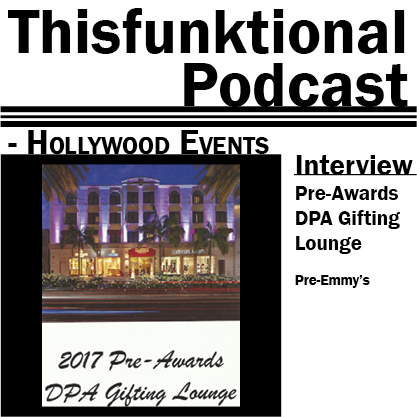 @Thisfunktional attended the Pre-Awards DPA Gifting Lounge where brands and vendors attended to showcase their products and services. Check out some of the brands and vendors which caught @Thisfunktional's attention. Photos of most products, vendors and brands can be found below. 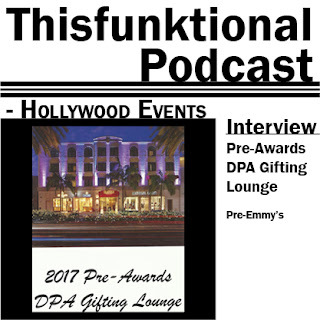 The Pre-Awards DPA Gifting Lounge is one of the most prestigious gifting suites. Awards season brings many celebrities together to celebrate the best in television, movies and music. Many brands and vendors come to gifting suites to try and catch the attention of guest, nominees and celebrities. Charities like Save The Children, SaveTheChildren.org, attend to try and bring awareness to worthwhile causes. Save The Children provides shelter, supplies and support to children who go through crisis by providing assistance, shelter, aid and educational materials. Jordyn Linsk Machotka, Director of media relations and communication for Save the Children, attended to talk about the efforts Save The Children is making to help children affected by the recent hurricanes and talking about the volunteers and the services they are providing to help children and family get back to their normal lives. Designer Marie Webb of Lemonade Stand Designs, LemonadeStandDesigns.com, showcased some amazing, colorful silk dresses and fashion accessories. A representative talked about Webb stating off as a traditional artist drawing on large paper and eventually wanting to wear her art. Having down syndrome, Webb uses her talent to convey beauty through fine art and fashion design. For the tech person and anyone who works off their laptop while on the go and has a hard time finding enough space to work, the A-Stand, a-stand.com, helps provide another layer of space while traveling. A-Stand creator Norman Korti said that he had the idea for the stand while he was flying to New York and couldn't concentrate on writing while on the flight because of the limited space he had. After a seven year journey, the A-stand is available throughout their website and Amazon.com. Honey Hive Soaps, thehoneyhivesoaps.com, a natural alternative to skin care showed their amazing smelling natural soaps that are cruelty-free. Honey Hive Soaps creator Alessandra said she started off making natural soaps for herself because she couldn't believe all the chemicals which soaps and skin care products contain. She quit her job a year ago and started to make natural soaps and skin care products, all which are made from her house in Connecticut. For the foodies, there were plenty of foods and drink available, such as Organic Bareburger, who also serve the Impossible burger which taste like meat and has the same consistency of meat but is made entirely of vegetables, High Brew which has protein cold brew coffee drink. Red's Cheesecakes, redscheesecakes.com, which has some delicious tasting, as well ascetically pleasing, cheesecakes. Located in Redondo Beach, one taste will have people being return customers to try more and more different cheesecakes. Photos by Jose Angel Torres.